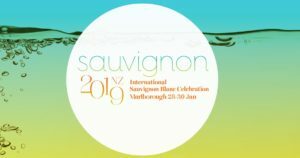 Each year my clients and I sit down and discuss the merits of entering wine competitions in general, and then go through the list of shows on offer before making a decision on which to enter. If any. Things are becoming more selective in this regard. First, entries fees could see a fairly range-heavy producer forking out R30 000 on four local competitions. What for? Well, for pride and honour, that is one. And then for the marketing punt that serious competitions give wines. This undeniable commercial interest embedded in wine competitions makes me wonder why many shows are so slack in following through. For most competitions, you enter and you pay. And if you are lucky at the judging you are invited to an awards ceremony – for which on most occasions you have to pay to attend. And then, you win a gong, and then you pay for the honour of being able to buy a few thousands stickers to decorate your bottles. So besides the bling on the bottle and a bit of hype from your marketing division – if you have one – what’s in it for the producer, except bragging rights? It has been interesting to note recent developments in the Michelangelo International Wine and Spirits Awards. They follow most of the usual rigmarole outlined above, but since last year have shown an almost obsessive eagerness to tie-up the competition with retailers and other outlets so as to “add value”. First, to add further impetus for entrants by getting wine sellers to stock the Michelangelo winners, the producers of whom would take an increase in sales above the nice warm feeling that comes with winning a medal. And secondly, by aligning the competition with accessible outlets, the consumer is now able to easily access ranges of awarded wines that generally remain in some lofty realm of unapproachability. A few weeks back Checkers, the retail giant that knows what booze means to its bottom-line, announced that it is sourcing Michelangelo’s winning wines and spirits for stocking in its ubiquitous stores. And at the week-end SAA came on board, saying it is using the Michelangelo selection to choose wines for on-flight lists as well as in its lounges. From the periphery this development is going to shake-up South African wine competitions, most who have rested on their laurels assuming wine producers deem the honour of recognition enough reason for entering a show. Not any more it ain’t. Take it from us on the wine marketing side, the bang is going to have to bet bigger to get wineries spending the bucks on entries, parties and stickers. New time for showtime, it is. Thys Louw at the 2018 Old Mutual Trophy Wine Show awards function. 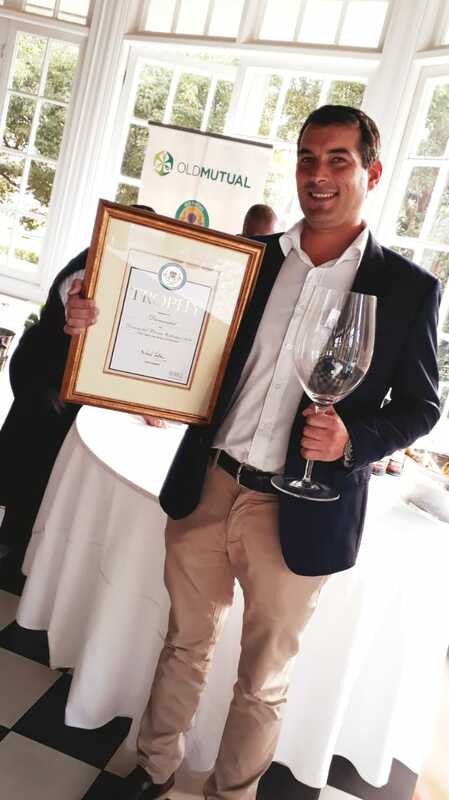 In what is turning out to be an extraordinary year for Durbanville-based Diemersdal Wine Estate in terms of wine awards, the Diemersdal Private Collection 2016 won the Riedel Trophy for Best Bordeaux-style Red Blend at this year’s prestigious Old Mutual Trophy Wine Show. This accolade follows the estate’s superb showing at the recent International Wine Challenge where its MM Louw Cabernet Sauvignon 2015 won a Gold medal, one of only two South African Cabernet Sauvignons to do so. 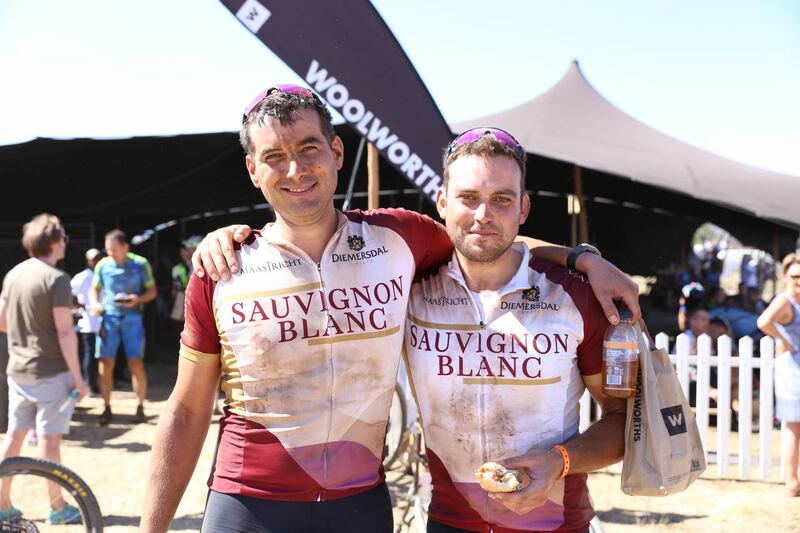 Thys Louw, left, from Diemersdal with cousin Thys after Stage One of the Epic. Diemersdal wine maker Thys Louw had just finished the first stage of the world’s toughest mountain-bike race, the Cape Epic, when he heard that he’d won two gold medals. 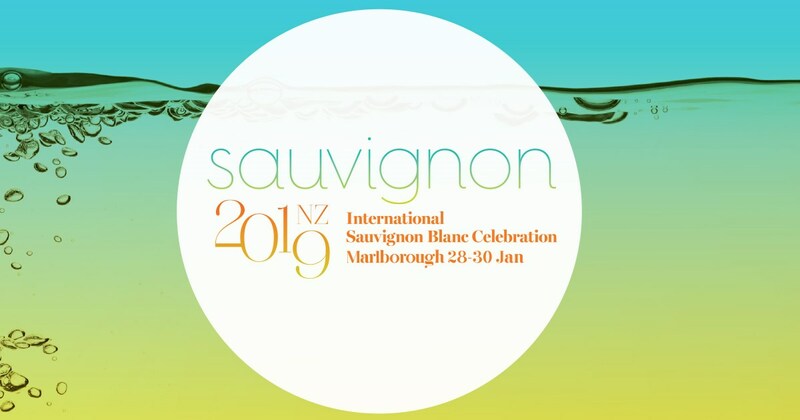 Not on the bike, but at the Concours Mondial du Sauvignon 2018, the world’s premier international showcase for Sauvignon Blanc wine. 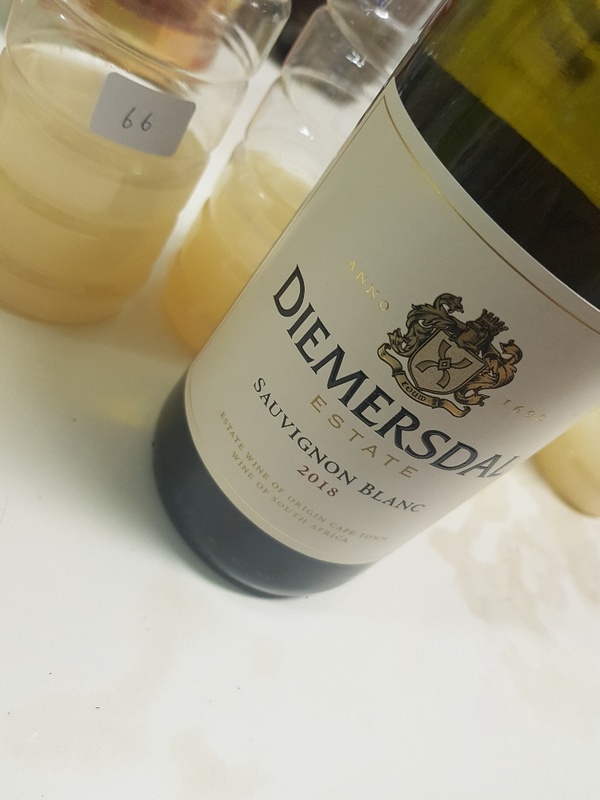 Diemersdal took gold for the MM Louw 2016 and Eight Rows 2017, two of the wines from this Durbanville estate renowned for its interpretations of South Africa’s and one of the world’s most popular white wine varieties. So here we are, the first discussion of a wine from the 2018 vintage. That’s right, this is the Dry Year characterised by the worst domestic water shortages in the history of Cape Town, black-bass having to learn the leopard crawl due to empty dams and Premier Helen Zille sporting a water-saving, unwashed hair-do resembling a wombat that had gotten hold of a tub of Vaseline. The Gauteng propagandists constantly claiming the superiority of Johannesburg and Pretoria in wine -buying terms were dealt a bloody nose recently. 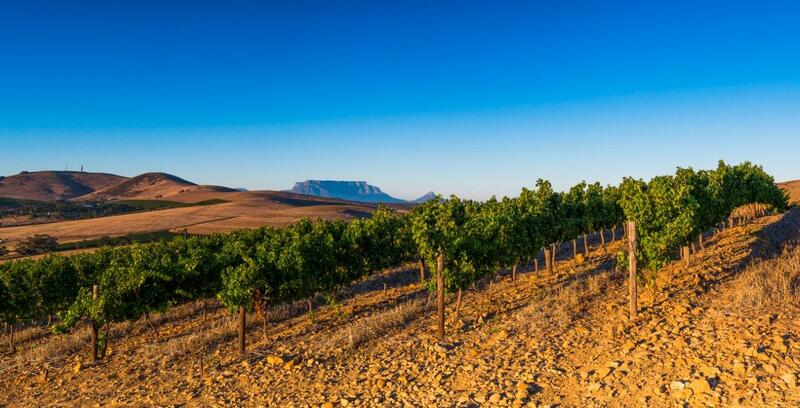 A consumer survey commissioned by Caxton Media showed that the region with the highest per capita consumption of wine by value happens to be Cape Town’s Northern Suburbs. That is Durbanville, Bellville, Tygerberg and Parow, otherwise known as the Boerewors Curtain. Dry-land vines on Diemersdal Wine Estate, Durbanville with Table Mountain in the distance. 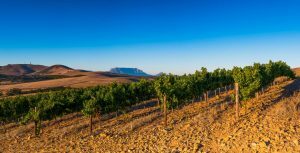 Cape Town might be synonymous with the growing of wine grapes and drinking of the fermented juice since 1659, but the city had to wait until this year to get its own demarcated wine district. In May the South African wine authorities accepted a proposal from the wine areas of Constantia and Durbanville, both a one-winged seagull’s fly from the City Centre, to establish a Wine of Origin Cape Town district. This means that the wine folk of Constantia and Durbanville will be able to officially use the name of the Mother City on their wine bottles. Thys Louw has a simple answer as to why Sauvignon Blanc is South Africa’s – and one of the world’s – most popular single varietal wines. “The taste of the consumer. At the end of the day, after all that is being written, analysed and debated on the topic of wine, it all boils down to the taste of the consumer for whom wine is made,” says Thys who is cellar master and co-proprietor of Diemersdal Wine Estate in Durbanville, one of South Africa’s leading Sauvignon Blanc producers. To check out the quality of Cape Harvest 2017, I was assisted by the friendly folk from Diemersdal, out Durbanville way. For here two new vintages, bottle, closed and already being sold are waiting for those like-minded vinous souls who want a sneak preview as to what this vintage holds. No wood, no good. This phrase was not coined by Elizabeth Taylor or Lady Gaga, rather by the late Graham Beck who abruptly dismissed any Chardonnay that had avoided some face-time with a maturation barrel.